Create a statement look with the Zen multi strand beaded necklace. Crafted from a multitude of circular beads, this necklace features a horn effect fastening, a distressed finish and a voluminous appeal. 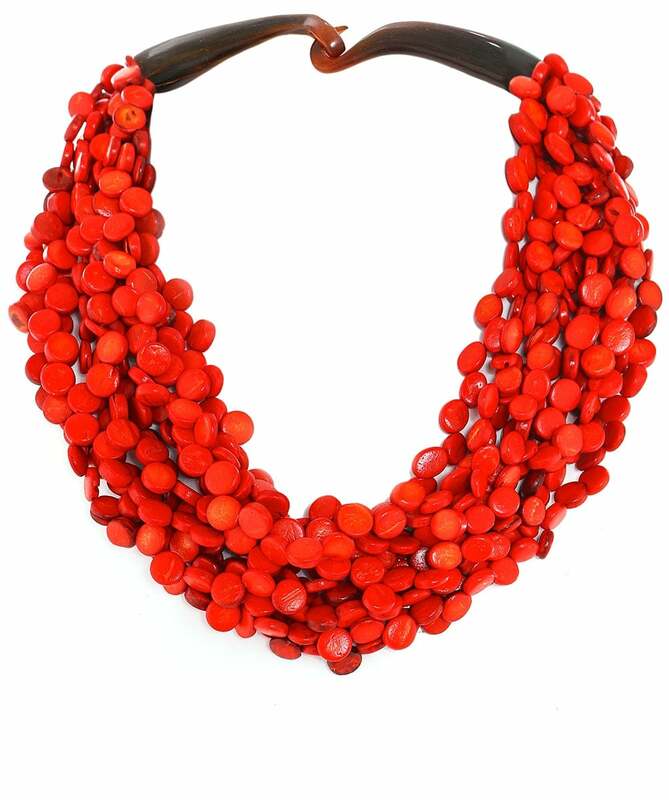 The layers of vibrant beads are sure to complement simple tops and layered looks for formal and casual ensembles.